For marketers looking to build lasting trust with their audiences, generate leads, and improve their SEO, there's no better tool than content. Now, contrary to what the name may lead you to believe, "content marketing" and its benefits aren't limited only to marketers. Content is an essential tool for company leaders looking to accomplish a range of business goals. 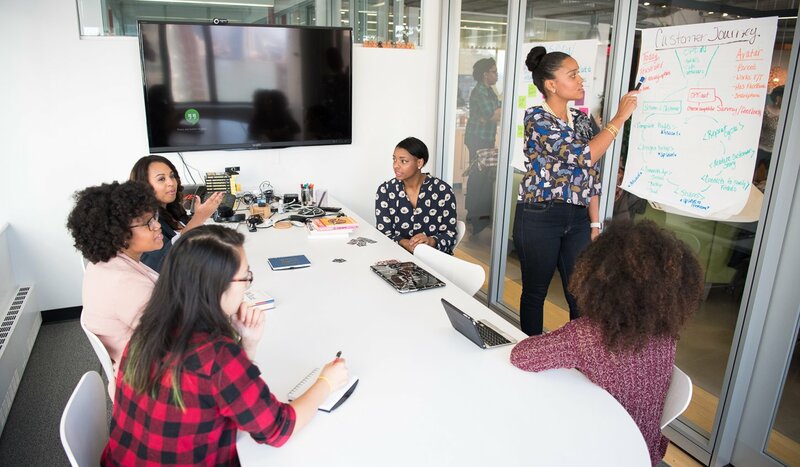 It helps leaders in an organization — from your CEO to your CTO and even to your sales team — build their brands, establish and communicate their credibility in their industry, and more. And all this collective content affects the goals of other departments, too, from HR recruiting and training new hires to account services efficiently answering client questions. To truly see results from your content marketing efforts, though, you've got to go beyond publishing content on your blog, sharing it on social, and calling it a day. You have to ensure your message reaches the right audience members in the right place at the right time, and you've got to reach them where they are. One of the best ways to do that is by guest posting in the publications your target audience already reads and trusts. Guest posting is exactly what it sounds like: It's contributing original, high-quality content to a targeted publication as an outside guest author. It involves you, the expert, sharing your ideas, advice, insight, research, and opinions with a publication whose audience is eager to learn more about what you have to say. Contributing guest content to a reputable publication in your industry serves two overarching purposes: It introduces your brand and expertise to people in your audience who don't already know you, and it builds trust among audience members who are getting to know you. But it only works when publication editors accept and publish what you pitch. To successfully earn bylines in the outlets that reach your audience, you've got to contribute what those outlets are looking for. That's why the team at Influence & Co. asked them. 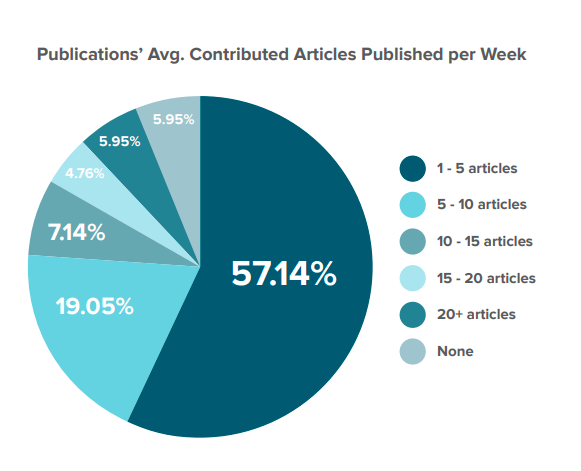 Seventy-six percent of editors publish 1-10 guest posts per week. 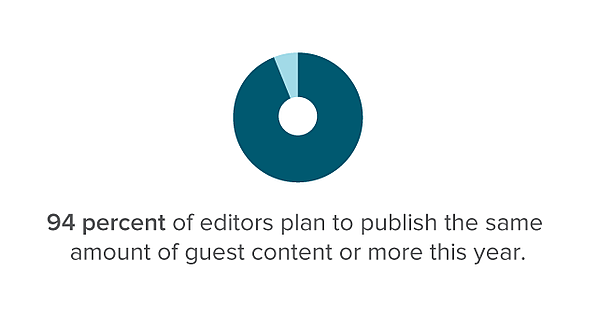 Ninety-four percent of editors say they plan to publish the same amount or more of guest content this year. 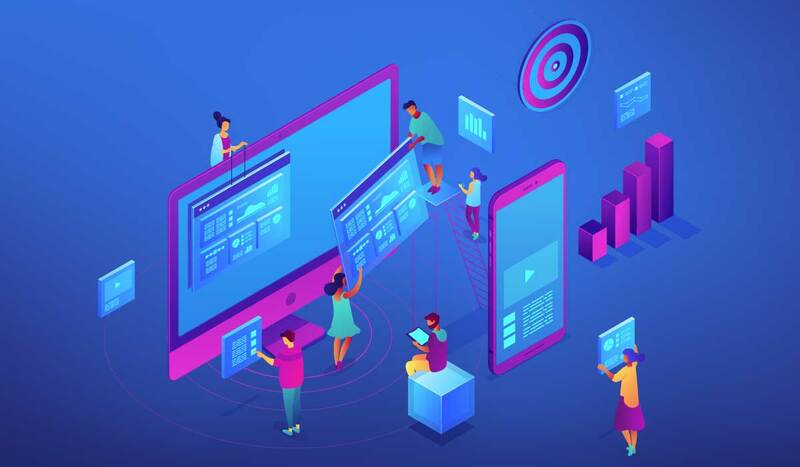 Editors are open to publishing a variety of content types to serve their audiences: 67 percent say they plan to publish video content, while 52 percent say infographics, and 46 percent say podcasts. For more insights from editors at top online publications, as well as an analysis of more than 3.5 million pieces of published content, download your copy of " ." When you contribute high-quality content to online publications, you tap into new audiences that engage with topics in your industry but might not know much about you or your company. And when you do so through a strategy that ties your guest content back to your on-site content, you create an inbound funnel — one that draws qualified traffic back to you, generates leads, earns you high-quality backlinks, and boosts your SEO, creating opportunity in the long run. 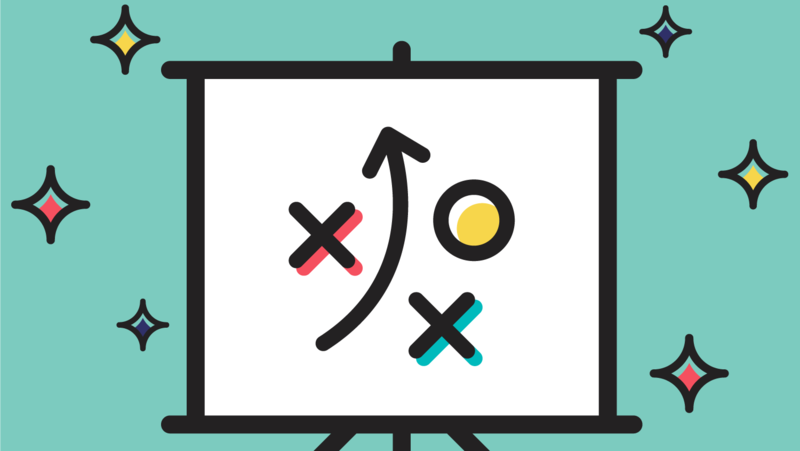 Use content to generate leads, improve your website's SEO, or build your thought leadership: to help you align your content tactics around the goal that's right for you. In 2017, Influence & Co. saw that organic search traffic and referral traffic were the top drivers of qualified leads and revenue generated from our marketing efforts, amounting to 79 percent of the marketing-qualified leads generated and 55 percent of the company’s marketing-generated revenue. If you're looking to use guest content to generate leads, then publish on sites that are looking for expert contributors to offer how-to insights. By going beyond basic evergreen topics and diving deeper into how-to topics, you can share more of your ideas with people and entice them to continue learning through links to more educational resources on your website, like reports, guides, whitepapers, and more. Now, publication editors will remove links and other content elements they deem too promotional or irrelevant, so don't try to sneak in links back to your site solely for your own benefit. Be intentional and strategic when linking to your own resources to use the downloadable content to further your message and truly provide additional value. Get your copy of " " to learn more how you can use content to generate leads. The marketing team at Influence & Co. consistently sees an initial spike in traffic and leads generated right after a new guest post is published, but in order for it to do so on a sustained basis (for months or even years), it's got to rank on search. If you're looking to improve your organic search rankings and increase your online visibility, content is nonnegotiable. That includes robust content on your website and blog that engages visitors and meets their needs, yes — but it also means building relevant, high-quality links to all that great on-site content. Contributing content to diverse publications with active, loyal audiences can help you earn links to some of your best on-site content and further educate and engage readers, all at the same time. Research a publication's domain authority. Using a tool like MozBar, review the domain authority of the outlets and publications you're interested in contributing to. Publications with a higher DA tend to have a greater impact on your SEO goals. This doesn't mean sites with a DA below 50 aren't worth your time. Any publication that your audience loves, trusts, and goes to regularly for information is worth considering — but to unlock the most direct SEO benefit from your guest posts, a site's DA is kind of a BFD. Determine whether the site uses follow or no-follow links. Confirm the publication you're targeting offers follow links so you can ensure the domain you publish to will pass authority back to your site; MozBar makes it easy to check this, too. This isn't to say that no-follow links don't provide value; they do. No-follow links can still generate traffic back to your site, where readers can then engage with your content — indirectly signaling to search engines that your content meets your audience's needs. But they do pass along less direct SEO value to your website. Confirm those links are contextual. Contextual links (or links within the actual body of an article) in the right outlets deliver more SEO value than links to your homepage within your author bio, for example. Check to see if a publication allows you to include a link to highly relevant, educational content within your article. If you're looking to build trust with your audience and establish credibility in your space, publishing content on sites that people in your audience already trust is a good start. There's something about seeing your company's message published in a reputable publication that adds another layer of credibility to what you have to say. But positioning your brand next to trusted industry resources isn't enough. You can't just stand close enough to a major publication and hope that Trust By Association will carry you and your brand to thought-leader status. 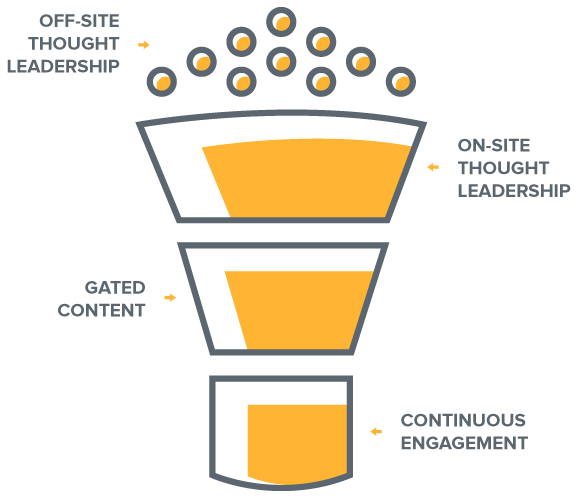 For a step-by-step guide to using content for building thought leadership, download " " today. To build thought leadership and reinforce that trust and credibility you access by earning a byline in a top publication, you've got to create truly high-quality content that offers value to your audience — and you've got to do it for a variety of publications and do it consistently. That means making guest posting a central piece of your content strategy. The thing about an effective content strategy is that all the pieces need to work together. Every story you tell, every article you write, and every post you share should work together to create a seamless, enjoyable experience with your brand. to create a plan that maximizes the value of your guest posts. Your audience needs more to interact with than a couple of one-off articles in an outside publication, no matter how amazing those articles are — which is why guest-contributed content alone is rarely enough to fully meet your goals. 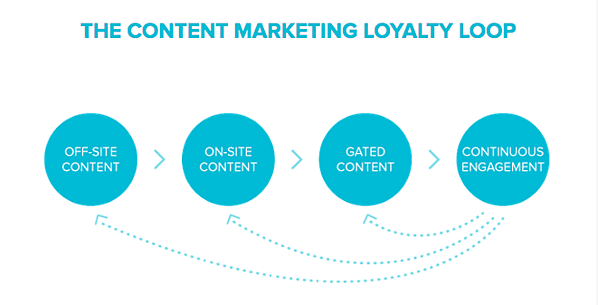 The image below illustrates where external content fits within your funnel and how those content types work with one another to attract and nurture an audience. Your guest content attracts new audiences to your brand. That is a hugely important step in the content marketing process. But if that new audience relationship has any shot at continuing beyond introduction, your guest content needs to open the door for readers to explore all kinds of other content from your brand, too. It's important to note here that just because your guest posts are perfect for reaching new people does not mean that's the only purpose they serve. Guest content can be used by multiple departments in your company to continuously engage your audiences and keep your brand top of mind. For example, your marketing team can use those bylined articles to fuel your social media and email marketing, and sales can use them as a tool to establish credibility with leads, jumpstart outreach, and answer specific questions. Understanding how critical a role guest blogging plays in the success of your content marketing is the first step. Now, it's time to figure out what that looks like in practice for you and your company. At Influence & Co., we have an entire department completely devoted to our publication strategy and editorial relationships. Our publication team works with editors every day to understand what they're looking for and how our clients and internal thought leaders can best meet those needs. 1. Research where your audience goes for information online. The first step to using content to reach your audience is knowing where your audience goes for content. What publications do your audience members know, love, and trust? Where are they going for insights? Want to know which publications your audience is reading? . Once you have an idea of what your audience reads, start developing a list of potential publications — and start with smaller, niche sites. By starting with highly targeted publications, you can reach people who are interested in what you have to say and begin growing your audience. And before you sit down to write anything for a publication, do your homework. You want to present editors with an article that their readership will find valuable, not just what you think is interesting. To improve your chances of acceptance, regularly read the publications you’re targeting to gauge their tone and the types of articles that do well there. 2. Create the kind of content audiences and editors are looking for. Publications don't exist as a platform for you to showcase your self-promotional ideas or as a tool exclusively for your branding benefit. To get your guest content published, you have to create content that a publication's audience will want to consume. According to our research in "The State of Digital Media 2018," editors are looking for original, expert guest content that's a fit for their readers and not promotional. Unfortunately, that's not always what they receive. Seventy-nine percent of editors say the content they receive is too promotional, and 56 percent say topics aren't a fit for their readers. Editors will reject guest posts that don't meet their audience's needs, so to avoid these problems and get published, you've got to deliver actual value to the audience. No matter who your subject matter expert is, you need a system for extracting their insights and professionally crafting those ideas into high-quality content that readers want to see. 3. Pitch your content to publication editors. Every relationship has to start somewhere — and when you're looking to contribute your guest content, it often starts with editor outreach in the form of a pitch email. Editors receive dozens, if not hundreds, of pitches pretty much every day. You could create truly incredible content, but if your pitch doesn't stand out among all the others editors are getting — in addition to the internal content from publication staff writers and reporters — then it won't matter. 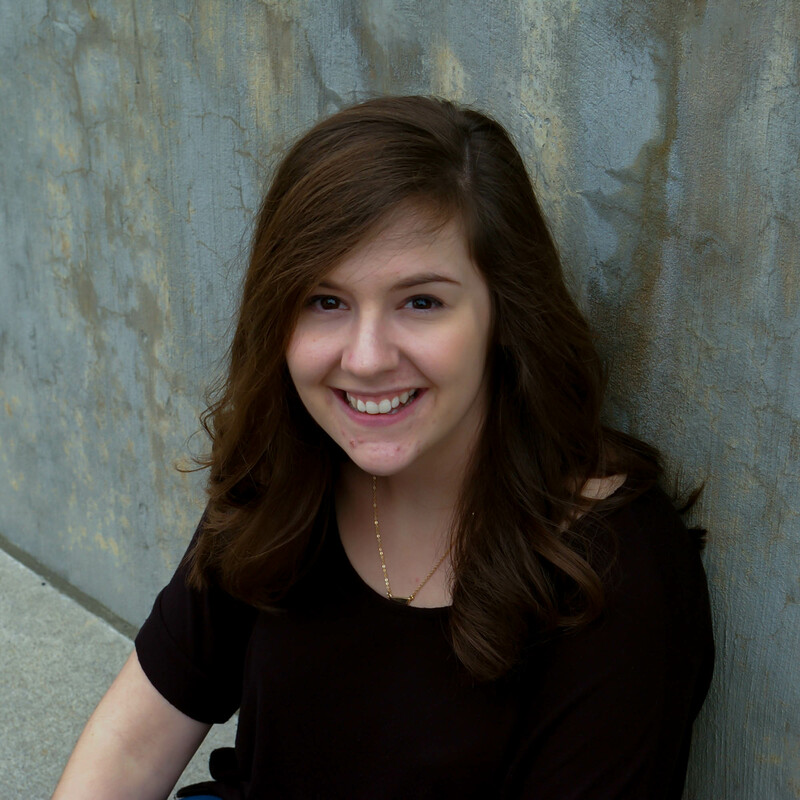 The first step in avoiding the trash folder is to sidestep the most common problems with pitches: emails that are impersonal, boring, too vague, and, at times, borderline disrespectful. When you prioritize your own goals over the editor and his or her needs, when you set your own deadlines, when you spam or creep on editors — you're not going to get very far. 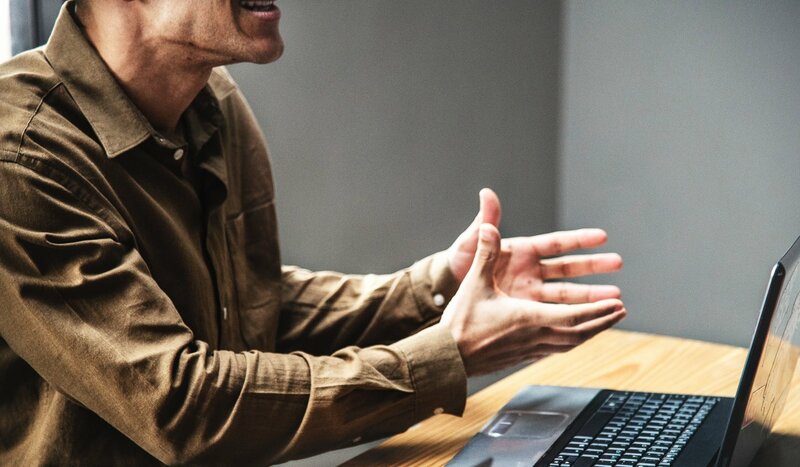 To make your pitch stand out and increase your chances of acceptance, check out this guide to pitching your content to editors. 4. Align your guest posts with your other content initiatives. Lastly, don't let your relationship with new audiences start and stop with a piece of contributed content. Use your guest posts to start a conversation, and link to other educational resources on your website to keep that conversation going and offer more value. Done right, these links can create a step-by-step path for new readers to learn more about a topic you've written about, and your brand as a whole, on your site. And remember, alignment isn't just about the path you lay out in links, either. It's also about how you and the rest of your team members use this guest content in other campaigns as well. If you’re ready to start guest posting as part of your content marketing strategy, but you still want more information, set up a call with us below to learn more. We’d love to chat about your company’s specific needs and answer any remaining questions you have so we can get you on the path to achieving your content goals.